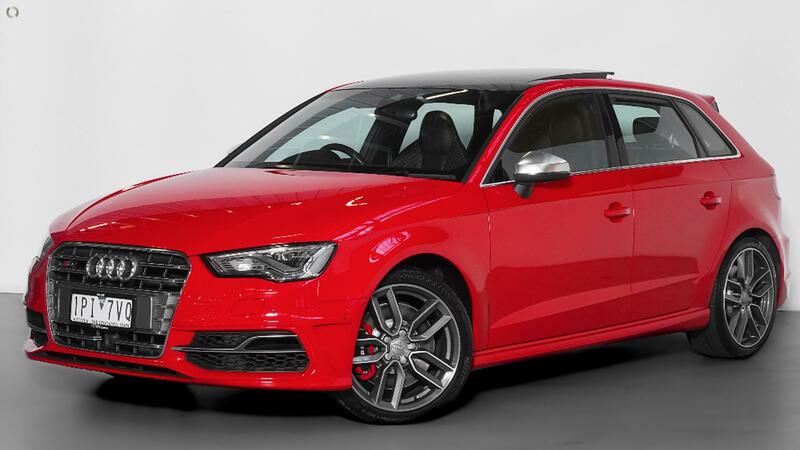 2014 Audi S3 Sportback Presented in immaculate condition with One Owner and Full Audi Service History. Finished in Misano Metallic Red with Soft Black Diamond Stitch Leather Interior and Gloss Black Trim Inserts. Loaded with Factory Options such as; Satellite Navigation, Front Row Heated Seats, Keyless Go & Entry, Front & Rear Assist, Rear Camera, Bang & Olufsen Premium Sound, Bluetooth & Bluetooth Music Streaming, Panoramic Sunroof, Radar cruise, Lane Assist and 18" Factory Wheels. Plus many more... Finance available and trade in welcome. Price includes RWC, Warranty and Excludes all on road costs. Great buying @ $35,990.00!! !